Urethane mortar flooring, also known as cementitious urethane flooring, is the go-to product for food and beverage processing. There are various products on the market, including Ucrete and others. This flooring consists of a urethane resin, hardener, and aggregate. When the three components are combined, the result is a urethane mortar trowel system, which is applied at 1/4-3/8 inch thickness. The flooring cures even in cool, damp conditions, and provides a durable, waterproof, impervious surface for food & beverage processing floor areas. Additional benefits include: excellent thermal shock resistance (hot spills, washdowns), chemical resistance, permanent slip resistance, and is accepted by the USDA for food & beverage processing applications. Download our Top 10 Puma-Crete® Advantages over our competition ! Disclaimer: EPF does not manufacturer or install Ucrete brand products. However, all of our material characteristics listed above, meet or exceed those of Ucrete brand products. 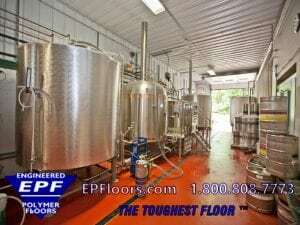 E P Floors Corp. is a nationwide manufacturer and installer of PUMA-CRETE urethane mortar flooring. Properties include chemical resistance, for food processing areas that must withstand the daily use of harsh, rigorous cleaning with disinfectants, detergents, hot water and steam. Another feature is fast curing which results in fast installation turnaround. The system resists thermal shock, and will maintain its bond on concrete; unaffected by hot wash down, spills, and other extreme temperature fluctuations.It has a permanent non-slip surface, which wont wear off. It handles thermal expansion and contraction, since it expands & contracts at the same rate as concrete. And, it is virtually odorless, non-toxic and contains non-tainting ingredients. EPF handles every aspect of your floor project. Our firm is a vertically integrated, single source supplier. 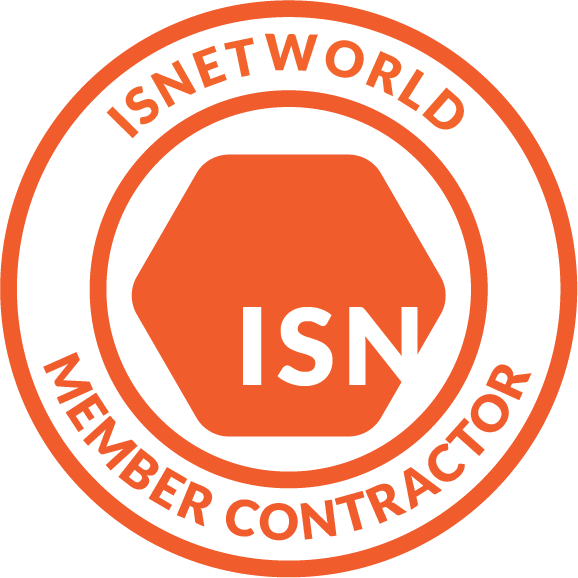 We control all aspects of your new flooring project, from design to completion. 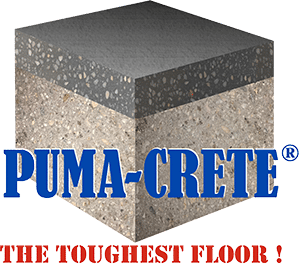 Our services include concrete floor consulting, slope to drain underlayments, drains, concrete slabs, curbs, and manufacturing/installation of Puma-Crete urethane toppings with our own company crews. By controlling all aspects of your floor project, we are able to control quality along every step of the way. In contrast, most other manufacturers of flooring do not even install their own products, and must rely on third party companies. If you need other services, such as slope to drain underlayment, or curbs, you much contact yet another company.